Please fill in the following form to let us know about you! Let us know about you. What brings you to Slow Food? 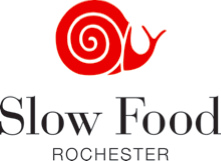 What direction would you like Slow Food Rochester to take? What other groups should we connect with? What do you hope to get out of Slow Food Rochester?